Most often, we scaffold along the way, using a gradual release method that works like training wheels on a bike and feels (when done well) like that moment when the adult’s hand lets goes and you find yourself balancing upright and forward moving, breeze in hair and world majestically splayed out before you. Sometimes though, even after we’ve become a pro at navigating the world on our proverbial bike, something happens – road bump, road block, road work or new route – and in order to make it over to the successful side of the street we need a little extra help. We need to bring back some of those scaffolds and supports for a little bit to help us comfortably through. And the truth of the matter is, we don’t always do it. We often get caught up in how far we’ve come, how strong we think we need to be, and how perfectly we expect our journey to go once we’ve gotten solidly on that path. We don’t think we’re supposed to need help anymore. Out of embarrassment, fear, ego or not knowing, we expect ourselves to keep up the work on our own with which we now do need some help or support. We shame ourselves into going it alone and when we can’t KEEP up, we beat ourselves up. All the ways we’d never allow our loved ones to talk about themselves – we now find ourselves speaking the same to ourselves. And though some of us, for some amount of time, may find the rigidity of high and unyielding expectations motivating in the moment, it usually isn’t long before we feel so lousy about the ways we aren’t meeting them that we lose our will to keep at it at all. Then let’s talk ways we can support ourselves when times are tough. Really, they’re great strategies for any time, because you know what? 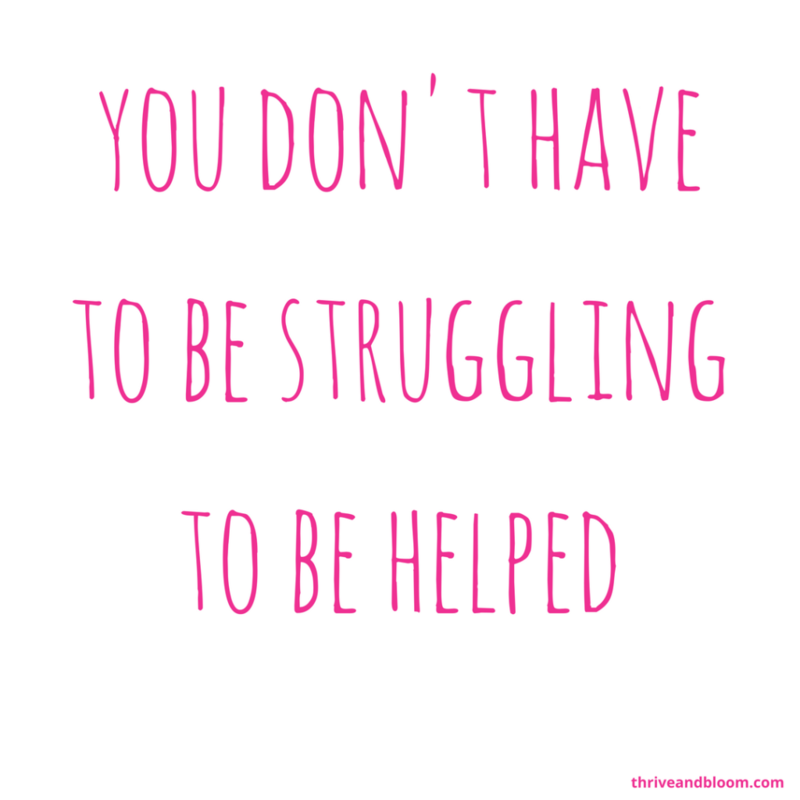 YOU DON’T HAVE TO BE STRUGGLING TO BE HELPED. Yeah, let’s just go ahead and bust that myth. And while we’re at it, let’s bust the one that says that asking for help is a sign of weakness, m’kay? – let yourself be happy with good until you can muster up great so that your goals and inspiration don’t get gone! Now let’s play a game. 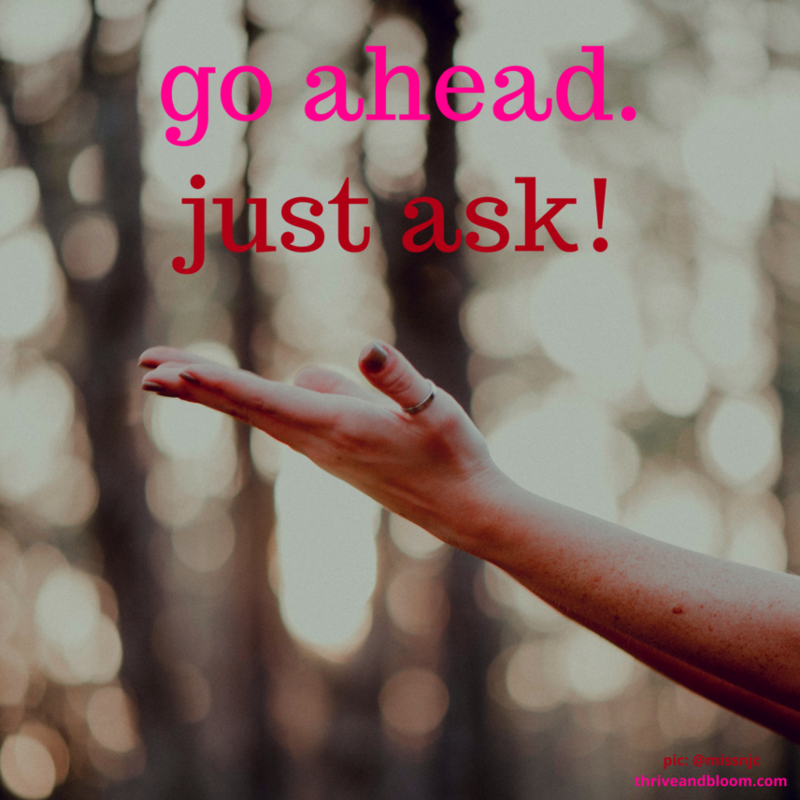 What are ALL the ways you can ask for or accept help today? Where have you never even imagined that help might be had or found? What’s one thing that would make your life easier, and how can you ask for or allow help that could make it so? Ahhh, how expansive that feels to me. I so want to hear what comes up for you!